With a resume that includes appearances at Carnegie Hall, The House of Blues in Chicago, the Grand Ol’ Opry, five European and three Australian concert tours, Marcia Ware-Wilder’s musical background is as varied as it is colorful. 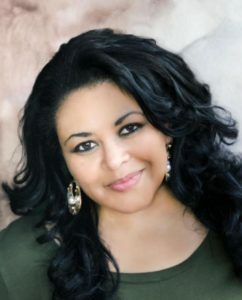 In addition to her own celebrated solo work, she has provided background vocals for artists such as Lorrie Morgan, Pam Tillis, Peter Frampton, Mary Wilson of the Supremes, Gospel greats Bill and Gloria Gaither and the legendary Chaka Khan. She has also been a featured vocalist with the famed Funk Brothers of Motown. An aspiring actress, she has appeared in several episodes of the third season of the ABC drama, Nashville playing…surprise, surprise…a background singer. Marcia counts first among her many passions her relationship with her Savior; as well as time spent with her family and her amazing boyfriend, songwriting, travel, harmonizing with the radio, good food, endless games of Candy Crush on her Smartphone, Daniel Day-Lewis movies and Ohio State Buckeyes football. Full Circle is Marcia’s first literary effort. She resides in Franklin, TN.